AshtonGamingShow, how much did EHL cost for you? i hope you will have a long and pleasent stay at your new comunity LG, I think that will be perfect for you and you wont be back here. For those of you who have «seen» that NHL15 is the same as NHL14 on youtube, I suggest you try actually playing NHL15 on 360/PS3 because it is different. 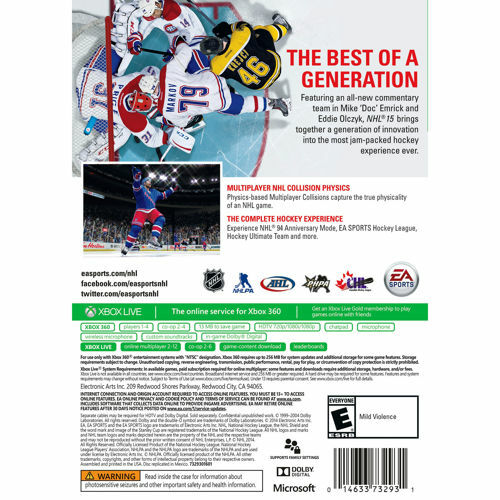 The player collisions are different enough that you have to play a bit differently and generally the game is better than NHL14… Except for game misconducts and human G's exploiting goalie interference (which I guess is a good thing if you're Radikal lol). I bought the game so naturally I hope more people buy it too on Xbox360, so far it's looking pretty bad, like there aren't enough people to make even a handful of 6v6 clubs. 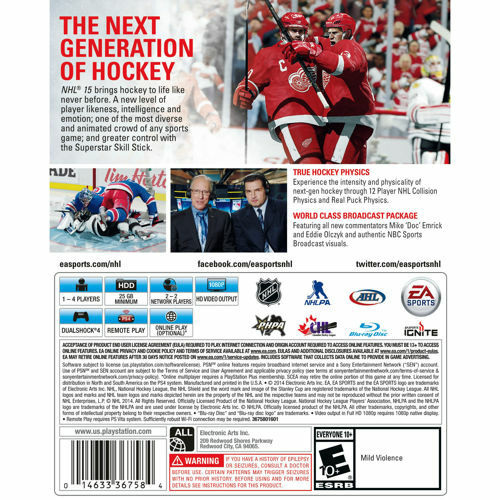 Buy NHL 15 for PS3. Lets go whooo! AshtonGamingShow, «they love my commentary»… I'm gonna flat out say it. They don't 'love' it because it's good, they love it because they get comedic value out of someone struggling to say basic words. Not trying to be mean or anything but try not to get confused between people laughing with you and people laughing at you, so to speak. Furthermore that thread seems to be opinionated, meaning that you weren't voted the best LG series ever, more along the lines of the people in your section hold it to a different standing than the wider public. Let me tell you Ashton, the guys at LG are doing the exact same thing Jesus Kristuz and I were doing back in NHL12. We discovered you, thought you were hilarious (though not on purpose), advertized you, but when you became a whore for fame everybody tuned you out. But sure I also «love» your latest commentaries. They are comedic gold, especially with captions on. You completely missed the point we were making, to the surprise of absolutely nobody. Good luck with your own business, mister «I can't string together one coherent sentence whether written or spoken».